Increase size of photos by clicking on any one. Man and nature conspire to create collages making use of these old buildings in the pueblo just below my house. I am mystified about what the other end of the noose seen in the first photo is attached to. I had to include the paint-splattered paving stones from Ajijic as well as it suited the theme. This entry was posted in Abandoned Buildings, buildings, Cee's Odd Ball Challenge, Cee's Odd Ball Photo Challenge, Cee's Oddball Challenge, Cee's oddball Photo Challenge, Uncategorized and tagged Cee's Odd-Ball Photo Challenge, cee's oddball challenge, Grafitti, ruined buildings, ruins on May 27, 2018 by lifelessons. Far be it from me to break the law by taking Little Duck out the the car in this Tennessee rest stop without a leash. He was indignant, but what’s a mother to do? Big Duck chose to stay in the car. For Cee’s Odd Ball Photo Challenge. This entry was posted in Cee's Odd Ball Photo Challenge, Cee's oddball Photo Challenge, Ducks, Photo Challenges, Uncategorized and tagged Cee's Odd-Ball Photo Challenge, cee's oddball challenge, Little Duck, Little Duck's Adventures on March 21, 2018 by lifelessons. Click on any photo to enlarge all. This entry was posted in Cee's oddball Photo Challenge, Uncategorized and tagged Cee's Odd-Ball Photo Challenge on January 28, 2018 by lifelessons. Be it a mariachi’s guitar or a detail of my friend Larry’s guitar, I love the artistry of musical instruments. Then, I couldn’t resist adding photos of one of the guitars whose artistry I attempted to augment. Please click on the first photo below to enlarge all photos and view as a slideshow. 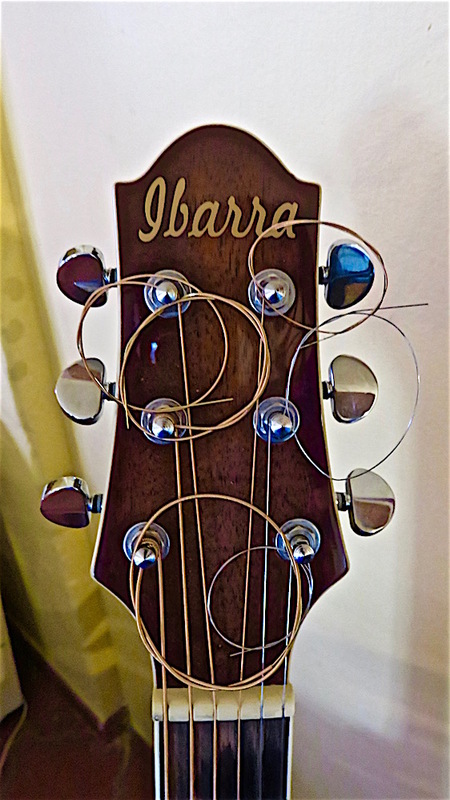 This entry was posted in Cee's Odd Ball Photo Challenge, Cee's oddball Photo Challenge, Photo Challenges, photographs, photos, Uncategorized and tagged Cee's Odd-Ball Photo Challenge, cee's oddball challenge, guitars, image of guitar, musical instruments, Violin on May 21, 2017 by lifelessons. I don’t know why this little scene tickled me so when I took Morrie out for a walk one morning in La Manz. It looked like the beer caps were all escaping from the garage and about to slip down the drain. Mass evacuation! I love Cee’s odd ball challenge! This entry was posted in Cee's Odd Ball Challenge, Cee's oddball Photo Challenge, Uncategorized on April 17, 2017 by lifelessons. The funky Gecko Gallery in Ajijic, Mexico, has a perfect solution to an overloaded electrical circuit and it only cost ten pesos (two five pesos coins) to solve the problem! I hated to ask to photograph the art, but I had no compunction about photographing their fuse box! Art is everywhere. I enjoyed my friend Mario’s two shows opening on the same night in Ajijic, and enjoyed other spontaneous photography “finds” as well. This entry was posted in Cee's oddball Photo Challenge, photographs, photos, Uncategorized and tagged Cee's Odd-Ball Photo Challenge, Electrical solutions, Five pesos fuses, fuse boxes, Jerry-rigged electrical wiring, Judy Dykstra-Brown Photos, original electrical wiring., picture of jerry-rigged wiring on December 6, 2015 by lifelessons. 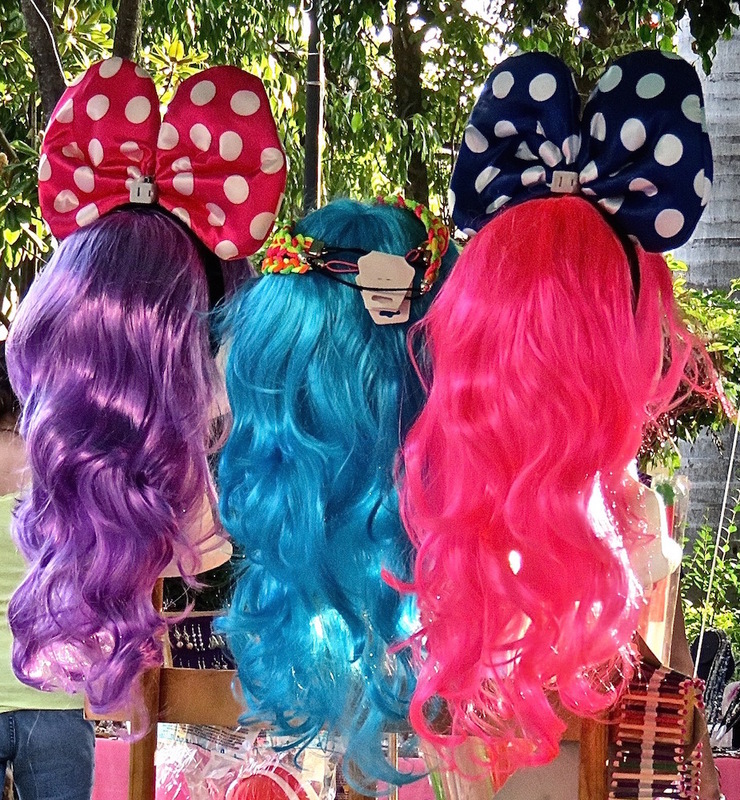 The first picture is the actual color of the wigs, but for some reason I prefer the second version, where I unsaturated the colors. 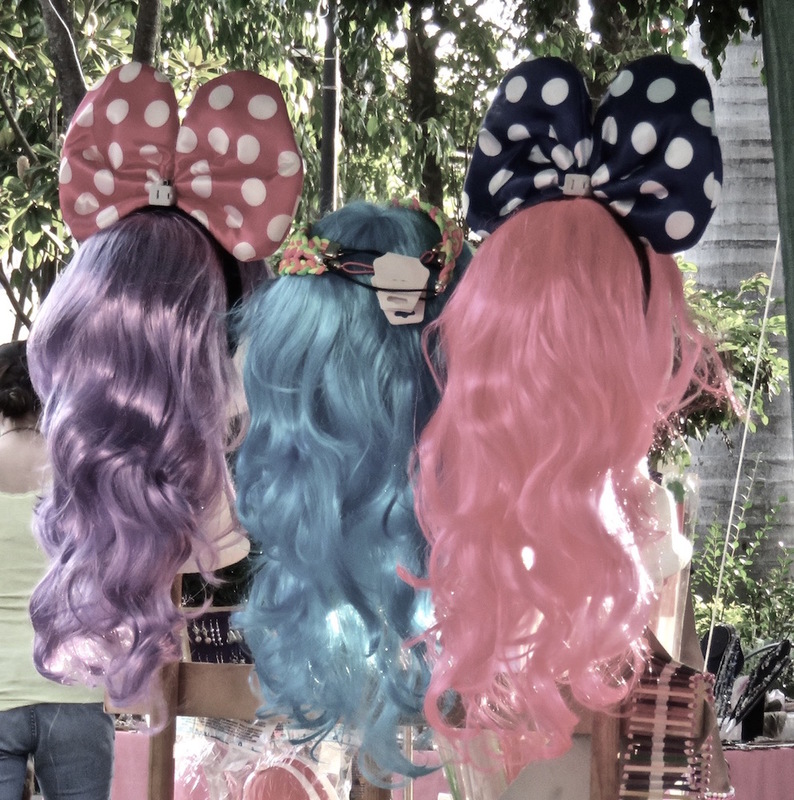 This entry was posted in Cee's oddball Photo Challenge, Mexican market details and tagged cee's oddball challenge, Judy Dykstra-Brown Photos, Mexican Market shots, wigs on October 5, 2015 by lifelessons.